You Helped Us Meet the Match Challenge! Thank you to everyone for all of the help you have given to the Brooklyn’s Playground effort. The community response to our Pepsi Challenge opportunity was simple humbling. For those who don’t know, we were able to secure third place and thereby earn the $50,000!! Thank you to everyone with blisters on their fingers (from opening bottle caps), and cricks in their neck from entering codes (or transcribing codes and emailing them to friends/family)! Next, we have build week coming up September 19th through the 24th. Shifts are from 8:00am to 12:00 noon; 12:30pm to 5:00pm; and 5:30pm to 8:30pm. Please take a look at your calendars and see when you can help build the park. We are looking for skilled, (can you cut a straight line with a circular saw?) AND unskilled volunteers. Please sign up here if you can help at any time this week. As the website shows, we are getting closer and closer but we need your help to reach the final goal. The following is a list of upcoming projects for which we need volunteers. Please take a look at the options, then look @ your calendars, and let me know by return email which event(s) work for you. “Kiwi Loco” All Summer Long! – Every Friday through August, if you wear a Brooklyn’s Playground T-shirt into Kiwi Loco (Located in the Chili’s Parking lot), you get 25% off your purchase AND 25% is donated to Brooklyn’s Playground. If you purchase a T-shirt @ the store you get a one time 50% off your item. August 10th – Final KPVI Newschannel 6 Laser Tag Challenge Match at Outer Limits Fun Zone. The teams with highest points go head to head to determine the overall Laser Tag Challenge Champion! August 13th – Chubbuck Days @ Cotant Park. We need volunteers to staff a Pickets/Pavers/ T-shirt/Lemonade stand @ the Chubbuck Days event. 11am to 6pm at Cotant Park. August 31st – Brooklyn’s Playground and Texas Roadhouse fundraiser. Texas Roadhouse will donate a portion of all sales this night to the playground. We will be sending out the flier that you must bring in for the Playground to get the donation. Give fliers to all your friends and email contacts, too! August 18th – Chamber After Hours Family Carnival 4pm to 8pm @ OK WARD Park Sponsored by Leadership Pocatello. 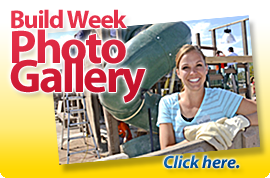 Bring your family for a wonderful time at the Playground! We need several volunteers and groups willing to staff the various booths. Sept 16th – Tom Whitaker “Summit Event.” Tom Whitaker will be the keynote speaker at the Stephens Performing Arts Center that evening. He is the founder of CWHOGS and was the first person with disabilities to climb Mount Everest. We will need volunteers to help organize the event, pass out fliers, hang posters, sell tickets, secure donors, etc. All Summer: We have Brooklyn’s Playground Lemonade stands available for checkout. These are based on the suggestion of one of our youngest volunteers. Anyone having a yard/garage sale can check out one of the lemonade stands that help raise money for the Playground. Our volunteer who suggested the idea raised over $500 with her lemonade stand. 1. People who are willing to man t-shirt/wristband/Picket/paver tables outside of local businesses for a few hours on Saturdays. Several local businesses have offered their sidewalk space but we need a volunteer or group of volunteers willing to coordinate manning the tables. I envision something like how ingeniously the Girl Scouts Organization manages their cookie sales. 2. A neighborhood or even citywide garage sale event. A volunteer or group of volunteers coordinate street addresses where the garage sales will be held, and then each individual family conducts their own garage sale. The coordinator then collects the donations from each family @ the end of the event. The Brooklyn’s Playground Organization will help with advertising support. 3. Don’t forget to “Like” us on Facebook. Thank you again to everyone who has helped support Brooklyn’s Playground fund-raising efforts. The people of the Pocatello/Chubbuck area are the most wonderful people on earth. Please feel free to email any ideas or suggestions you might have. There are many ways you can help make Brooklyn’s Playground a reality for the community’s children. Learn how you can help: click here. Copyright © 2019 Rave Communications, Inc. Logo, website design, and communications services courtesy of Rave Communications, Inc.